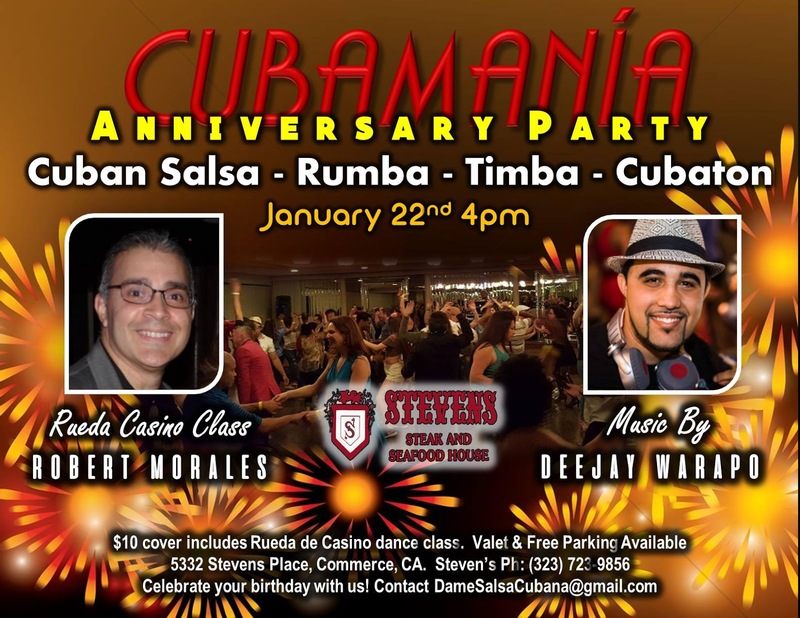 DAME SALSA CUBANA PRESENTS CUBAMANIA'S 1ST ANNIVERSARY DANCE PARTY EVENT. SOBREDOSIS (OVERDOSE) DE TIMBA & MUSICA CUBANA with DEEJAY WARAPO and Instructor's and hosts Robert Morales and Laura Cristina. $10 cover includes Rueda de Casino dance lesson and Porto's Cuban pastries (until supplies last), and after Cubamania event ends, enjoy from 9p.m.-1a.m. FREE ACCESS TO ✮✮ SALSA & BACHATA ROOMS ✮✮ Just show your wristband! 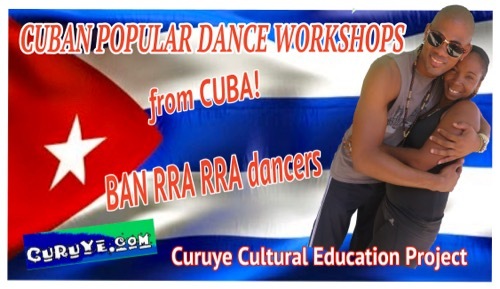 In L.A: CUBAN POPULAR DANCE WORKSHOPS w CUBA's BAN RRA RRA DANCERS! CURUYE CULTURAL EDUCATION PROJECT is thrilled to invite you to a very special DAY of CUBAN POPULAR DANCE WORKSHOPS with Cuban dancers YASELIS SÁNCHEZ and JUSTO CERUTO, from Cuba’s esteemed music and dance company, BAN RRA RRA. They are passing through L.A. before returning to La Habana, fresh from the BAN RRA RRA’s performance and teaching tour in Miami, and in San Francisco! The workshops today are designed for dancers with experience in RUEDA de CASINO (Intermediate workshop), and for the ADVANCED RUEDA de CASINO workshop participants will need to be able to dance ‘a contratiempo’ as CUBAN SON is danced. Street parking is available. Also, 4 blocks north of the studio, JOE’s GARAGE, 746 So Hope Street, L.A. 90015, $5/day parking with a shuttle to the dance studio by calling (213) 896-9260. You might find other reasonable lots closer to the studio. The BLUE LINE’s PICO STATION is the closest stop to Downtown Dance & Movement Studio, leaving you just a little over a block to walk. BIOS: YASELIS SÁNCHEZ CORREA, is the principal dancer, corps professor, and a graduate in dance from Cuba’s Escuela Nacional de Arte, and El Instituto Superior de las Artes. JUSTO CERUTO is a principal dancer of BAN RRA RRA, as well as one of the company’s instructors. He has been invited to perform and teach with BAN RRA RRA in Russia, Montenegro, Justo also dances with the renown rumba group OSAÍN de MONTE. He is currently getting his masters in dance at the Instituto Superior de las Artes. Both are regular teachers/performers at Havana’s annual BAILE EN CUBA festival, teach/perform at PLAZA CUBA’s international dance workshops, as well as with the HAVANA DANCE ACADEMY. SUNDAY, DECEMBER 11, 11 AM-2 PM: YASELIS & JUSTO will be guest teaching 2 AFRO CUBAN DANCE WORKSHOPS with KATI HERNÁNDEZ of CUBA's HAITIAN TRADITIONS from EASTERN CUBA. For pre-registration discounts for these AFRO CUBAN classes: CLICK HERE. SUNDAY, DECEMBER 11, 5-7 PM: CURUYE's PRE VAN VAN CONCERT PARTY with BAN RRA RRA DANCERS YASELIS SÁNCHEZ, & JUSTO CERUTO, along with KATI HERNÁNDEZ and DEEJAY WARAPO to rev us up on the dance floor and give LOS VAN VAN a BIG L.A. WELCOME! $25 for pre-party, and THEN STAY FOR THE CONCERT! Contact Curuye or Warapo for pre-party tix! Yes, it's true! 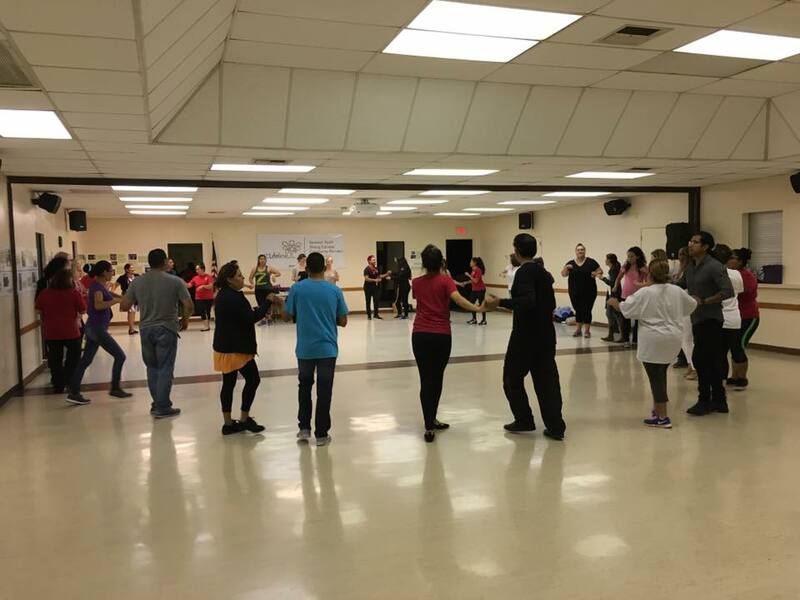 I have a new beginners rueda de casino class starting up in Vista. 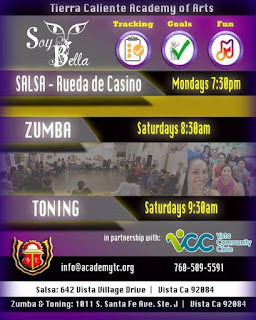 My class is integrated with the Soy Bella Fitness Program. We are starting another set of Level One Beginners Track Starting January 9th, 2017. If this was on your new years resolution, don't procrastinate as you will end up waiting until Summer/Fall 2017 when Level 1 is offered again. To learn more about Maritza's class curriculum, click this link. WHAT IS RUEDA DE CASINO? This is Cuban-style salsa in a circle switching partners. If you have never seen this dance before, click this video link to see a random, not choreographed, rueda de casino circle lead by Maritza Baida when she was in Seattle. This dance will give you a workout, and actually prevents Alzhiemer's. The dance does improve memory retention, and you will learn some Cuban Spanish along the way. Biggest reason people love it is because you meet people from all walks of life, people you would have never imagined The diversity awareness factor is huge in this dance. WATCH, you will be addicted!! Beginners Level One class series: January 9th, (Jan 16th - no class MLK B-Day), 23rd, 30th, & Feb 2nd. COST: for Nov 14th-Dec 5th series: $40.00 for the 4 weeks class series. This fee will pay your 4 week rueda class & membership to the Soy Bella Fitness program for the year. It's a 2-in-1 deal. Then in the next series per month, it is $25 a calendar month This is ONLY if you pay for this particular series(ex. $25 for January, $25 for February, etc. for one year). The $25 a month may not match up to the rueda class series. No DROP IN. Brand NEW dancers starting in January 2017 will need to pay $40 membership (required), PLUS $25 for the Rueda class - TOTAL $65, then each following calendar month is $25 a month. Membership will be good for one calendar year. pedometers and more resources vista community clinic will donate. We are about to finish up the day class this Tuesday, December 6, 2016. Maritza will be traveling to Cuba for the rest of the year. So wheile she is gone, be ready to amp it up as Maritza will be sharing some of the new moves she learned in Cuba with the beginner Level 3 class. COST: $40 per person (this includes the additional practices on Fridays and random practices to be announced). Please click this link to the registration form and complete the form.